The First Tee of Savannah (TFTS), a youth development organization that teaches life skills utilizing the game of golf, will be hosting a fall festival and registration November 7, 2009 from 10:30 a.m. until noon, at the Mary Calder Golf Course located on the grounds of International Paper. 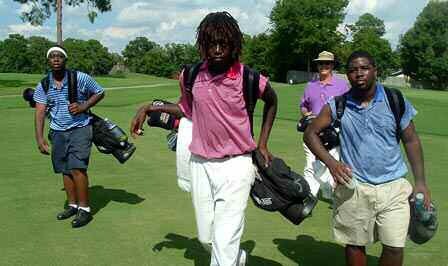 The First Tee wants to increase the number of young people in the City of Savannah that are exposed to this life long sport. “Our goal is not to make great golfers– it is to make great people. Becoming a great golfer is oftentimes a byproduct of the program,” says Bogans. Some of the older participants who have met certain criteria have played in the Walmart Pebble Beach Open, and The First Tee Invitational at Callaway Gardens. Last year, for the first time, Coca-Cola sponsored a program where qualified First Tee participants got an opportunity to meet top level executives and discuss career options. For more information, please contact Karen Bogans, (912) 692-1162. Also, visit our website at www.thefirstteesavannah.org .